My children have pretty much all been incredibly pencil-phobic. I don't know if it is the dyslexia, if it is just a boy thing, if it is the lack of a good place to actually do writing, or if it is just poor parenting. But handwriting in this house is a bit of a joke. The whole idea of copywork has always sounded so appealing. Practice handwriting by copying out beautiful things. It sounds so idyllic. In reality, I've resisted copywork, mostly because I just can only handle so many "you have to" battles in my life at a time. 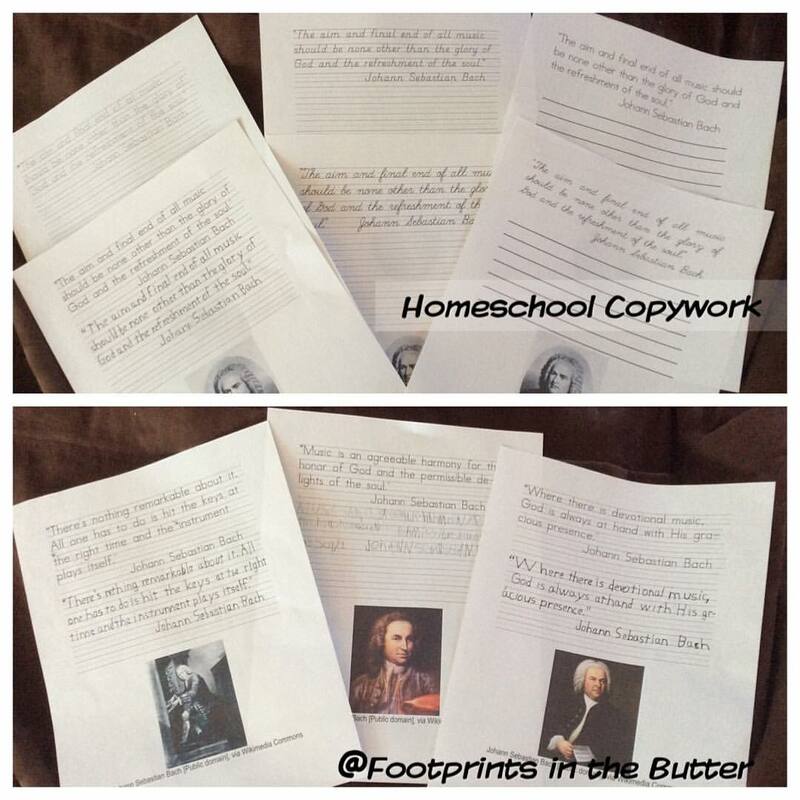 The opportunity to work with the amazing materials created by Amy Blevins of Homeschool Copywork was perfectly timed. We've been using the Lifetime Membership for handwriting practice the past couple months, and I really can see the benefits of using copywork in our studies. In looking over the available materials, it was hard to decide where we wanted to go with things. There are hymn studies. Oh, I love that! One thing we have tried over and over is to actually study various hymns. Learn them by heart, be able to sing them, study the vocabulary and the theology. Homeschool Copywork gives me a wonderful resource for doing that for hymns such as All Creatures of Our God and King, Anywhere with Jesus, Amazing Grace, and Be Thou My Vision. In addition to the hymns, there are also some Christmas carols and The Star Spangled Banner. They also have artist studies. We've been trying to incorporate some art history into our schooling, so this is a fabulous resource. 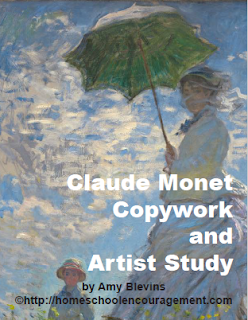 Claude Monet, for example, starts off with a gorgeous cover. Inside, there is a brief biography, followed by six quotes for copywork. Each of the copywork pages has a different painting included, and each quote is included in several different styles (beginner traceable, beginner lines, regular lines, cursive). Also included are full-page paintings, so you can get a bigger version to study. We are spending a week per copywork quote, and then also researching information about the painting online. This is a beautiful book! In addition to Monet, there are also books on da Vinci, John James Audubon, and multiple books on Van Gogh. Another category is scripture. Unfortunately, I didn't remember that 1 Corinthians 13 was in here, or I would have had Trina doing the copywork while she is memorizing the chapter for AWANA. She has memorized about 1/3 of it in NIV, and the copywork is ESV (which I actually prefer). I couldn't bring myself to making her switch versions. In this category, there are also title on the Armor of God, Dragons of the Bible, rainbows, and one on Heaven. There are science topics (transportation, human body, Wilbur and Orville Wright, birds, sharks, dogs, leaves, etc. ), holidays (Christmas, Thanksgiving, St. Patrick's Day, Valentine's Day, etc. ), and some miscellaneous other stuff (character building, Town Mouse, Country Mouse, William H. Taft, ninjas). The other main category is of musicians. Franz Liszt, Aaron Copland, Beethoven, Mozart and Duke Ellington. Plus the one we're currently studying, J. S. Bach. This has beautiful selections such as, "I play notes as they are written, but it is God who makes the music." One thing I alluded to above is that in many of these books, each copywork page is provided in multiple forms. I printed off all six handwriting "types" that are used in the J.S. Bach book, so you can see them side-by-side in the photo all the way up at the top of this post. 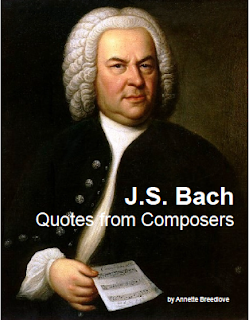 Working on a quote or two each week has been a fantastic addition to our month-long study of Bach and his music. This is a fabulous resource, as long as you can manage to remember what kinds of things they have! Amy does have a free membership option, and I most definitely recommend that you check into that! Lots of Babies - and a giveaway too! Logic of English - a new edition of Essentials!